Under floor heating provides a discreet, low maintenance and cost effective solution to creating a warm room. The Natural Stone Tile Gallery installs Thermonet under floor heating systems – described as the safest and most technically advanced on the market today. We give advice to ensure appropriate systems are fitted plus fully qualified electricians wire all mats. 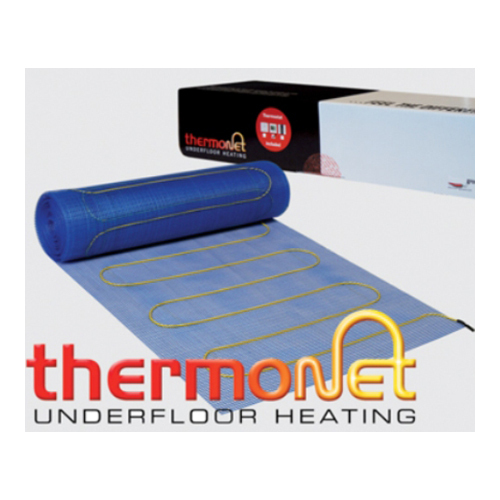 Under floor heating is suitable in kitchens and bathrooms as wires are encased in waterproof insulation with a continuous earth braid for total protection. It can be fitted under any floor finish and adds virtually no height to the floor. © 2019 The Natural Stone Tile Gallery. All Rights Reserved.